After a couple of joints and a bong hit, it is not uncommon to start to develop an appetite large enough to successfully raid and empty the kitchen. This appetite, brought on by the effect of cannabinoids on systems in the body, may have some medical potential. Anybody who has smoked a good amount of weed, or watched any of the many stereotypical “stoner flicks” out there, will be well aware of what is widely called “the munchies”. This is basically a well-known label for the raging appetite that is often brought about from a cannabis high. This sensation feels in some ways different than a normal hunger. Food springs to mind, and the thought rarely leaves until the person has demolished a massive quantity of food. This may be a negative for people who are trying to watch their weight or avoid foods that satisfy but are ultimately unhealthy. However it has quite a bit of medical potential, especially among conditions or situations where nausea is present and appetites are reduced. So what exactly is at the root of this hunger? What role does cannabis play in stimulating appetite to such a degree? To understand exactly how cannabis has such a powerful and stimulating effect on appetite it is important to understand what compounds from the cannabis plant cause this and how they interact within the body. Cannabinoids are a classification of molecules found within the cannabis plant, more precisely known as phytocannabinoids. Two of the most well known phytocannabinoids are known as THC and CBD. Other types of cannabinoids already exist within the human body, these are known as endocannabinoids. These molecules have numerous effects on the body by interacting with a series of receptors that make up what is known as the endocannabinoid system. Receptors of the endocannabinoid system, or ECS, are also activated by phytocannabinoids. This is because molecules such as THC are molecularly similar to endocannabinoids. Therefore these phytocannabinoids can potentially step in to stimulate the ECS appropriately when there is a cannabinoid deficiency within the body. The ECS contains multiple receptors, such as the CB1 and CB2 receptors. These receptor sites are found throughout the human body in various locations such as the brain, immune system and digestive system. When cannabinoids interact with these receptors they can create profound changes in the body within the domains of mood, pain, memory and appetite. When the CB1 receptor is activated, the release of hormones that promote the feeling of hunger follows. Researchers from Yale University have stated that this process is dictated by nerve cells called pro-opiomelanocortin (POMC) neurones. When a CB1 receptor is activated, a protein within the mitochondria of the cell causes POMC to secrete hormones that bring about appetite. A scientific paper published in the journal Pharmacology & Therapeutics discusses the potential use of cannabis’ appetite inducing effects. The authors touch upon the history of the herb and its early recognition as an appetite stimulant. In 1845 a researcher under the name of Donovan noted that Indian Hemp worked well for various inflammatory diseases and realised the affected it had upon hunger. He also noted it might have potential in cases of anorexia. Later on, in 1889, a researcher named Birch noticed in Calcutta that cannabis helped to treat opium addiction and explained that cannabis “restored the ability to appreciate food”. The authors of the paper state that the appetite inducing effects of the herb have a use in cases of cancer cachexia, weight loss and anorexia due to cancerous growth. They also mention its potential in the treatment of anorexia and the weight loss associated with HIV. The cannabinoid THC binds to the CB1 receptor that helps to alter appetite. 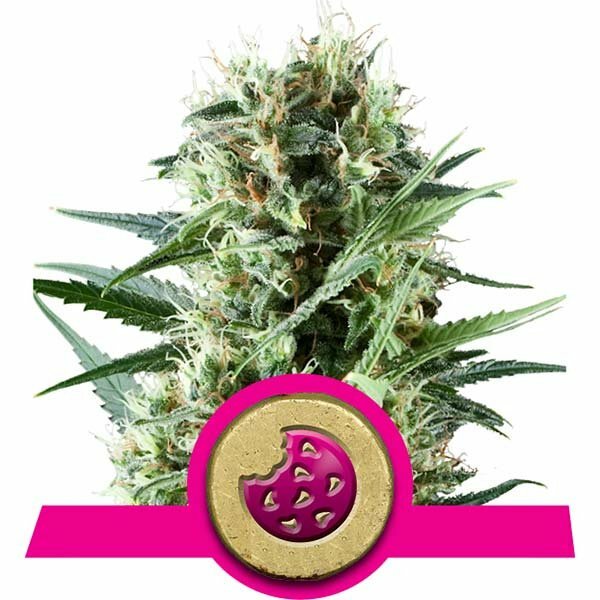 Royal Cookies may be an excellent strain for boosting appetite purely because it is loaded with THC, containing a mammoth 23 percent. This strain will also bring about both a relaxed and euphoric high. Pineapple Kush is yet another strain loaded with THC, capable of providing a yield with of 18 percent THC. It is a flavorful strain that offers a relaxing high. Is CBD Microdosing The Future Of Medical Cannabis? Could Spinal Cord Injury Be Treated With Cannabis? Will Cannabis Topicals Make You Fail A Drug Test? What Is Marinol And How Does It Differ From Cannabis?